TICKETS FOR THIS EVENT ARE SOLD OUT! 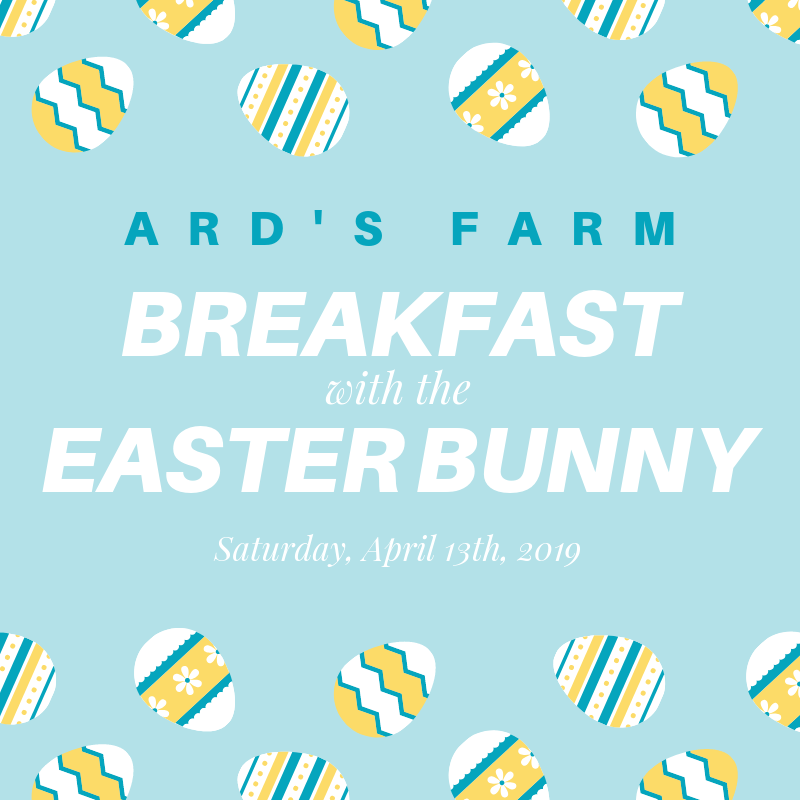 Bring the kids to Ard’s Farm for a buffet breakfast, crafts and of course a visit with the Easter Bunny! There are three seatings times: 8am, 9am and 10am. This is a ticket only event and tickets are now on sale on our website and Facebook page! We hope to see you there!